Eyes may be the window to the soul, but your teeth are certainly the window treatments. 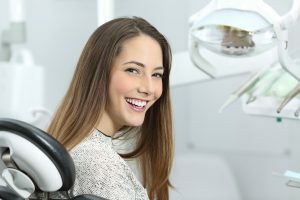 Teeth are normally one of the first things you notice about a person, and if you happen to be suffering from pain, gaps in your teeth, damaged teeth, or other dental issues, you may be less than confident about putting your best foot (or mouth) forward. If you are missing some or all of your teeth a dental implant may be the right choice to address your issues and to help you regain your confidence in facing the world. 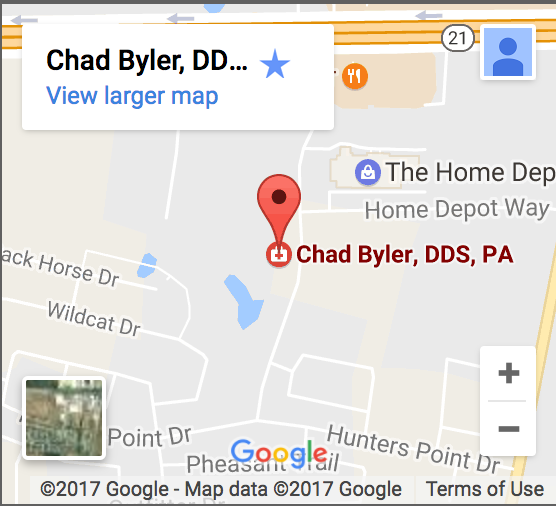 If you’re in the Bastrop, Texas area then you’re in good hands with Dr. Chad Byler, one of the areas premier dentists focusing on dental implant work. As such, there are many reasons to get dental implants, but we’ve outlined the five top ways in which implants can change your life. Dental implants are the next best thing to your real teeth. They are metal posts that are surgically implanted into your jaw, below your gums. Your dentist can then attach replacement teeth onto them for a better-looking smile. As implants fuse to your jawbone they offer more stable support for artificial teeth that look and act just like your real teeth do. Implants will keep your replacement teeth from shifting or slipping in your mouth during daily activities such as eating, drinking, and speaking. The more reinforced fit also feels more natural than traditional bridges and dentures alone. For many people, conventional dentures and bridges aren’t comfortable, or even plausible, because of previous issues such as sores, uneven ridges, or gagging possibilities. Bridges also require the presence of other teeth on each side to fill the space of missing teeth, whereas dental implants don’t need any neighboring teeth to be ground down to accommodate for your replacement teeth. Dental implants require healthy gums and good oral hygiene to be successful. Unlike dentures and bridges, Dr. Byler’s dental implants don’t pose a risk of becoming loose and falling out. Loose dentures and bridges can be both a painful and embarrassing experience. Conventional, tooth-supported bridges only last for about five to seven years, while dental implants may need occasional adjustments they are designed to last a lifetime, making them a more cost-effective, long-term answer. Dental implants also safeguard your bone and mouth health. If you have gaps in your mouth you are susceptible to bone loss and degeneration without the presence of a tooth to support it. Dental implants can actually aid in restoring the health of your mouth by not only preserving but encouraging your natural bone growth. Imagine life without having to worry about your teeth. Dental implants provide you with a healthy natural look that retains the shape of your face and smile. No one will be able to tell the difference between your dental implants and real teeth. You also don’t need to worry about dentures falling out or bridges becoming loose while you go about your daily life. If you think you need dental implants, Dr. Chad Byler can help you decide with a comprehensive consultation. In our state of the art Bastrop office, Dr. Byler not only examines your teeth for general oral health but will evaluate your jaw and bone density with an innovative oral camera that will help determine if implants are the right choice for you.